It’s taken some time to come around, but Naspers — the early Tencent investor that’s also behind the world’s top listings service — finally has a piece of Southeast Asia’s Carousell. TechCrunch broke news of talks between the two sides last year, and now Carousell has confirmed that it has raised $56 million from Naspers’ OLX business. Details of the deal were initially revealed by Tech In Asia today, but hours later Carousell issued an announcement to confirm the transaction albeit with different numbers to what had been reported. Tech In Asia wrote that Carousell had raised $46 million, based on a company filing, but Carousell said the figure is $56 million. Carousell added that OLX has acquired a 10 percent stake which thereby values its business at $560 million, that’s a little over the $500 million valuation that we reported Carousell was targeting last year. We’ve asked the company why there’s a difference between the filing that Tech In Asia obtained, and the figures it has announced. Finally, the deal also includes the transfer of the OLX Philippines business to Carousell, a detail that had been reported by Deal Street Asia earlier today. That migration is expected to be finalized by the second half of 2019. OLX Philippines GM Raffy Montemayor will manage the process that brings the company’s six million registered users over to Carousell. Carousell is a mobile-first peer-to-peer selling app that operates across Singapore, Malaysia, Indonesia, Taiwan, Hong Kong and Australia. 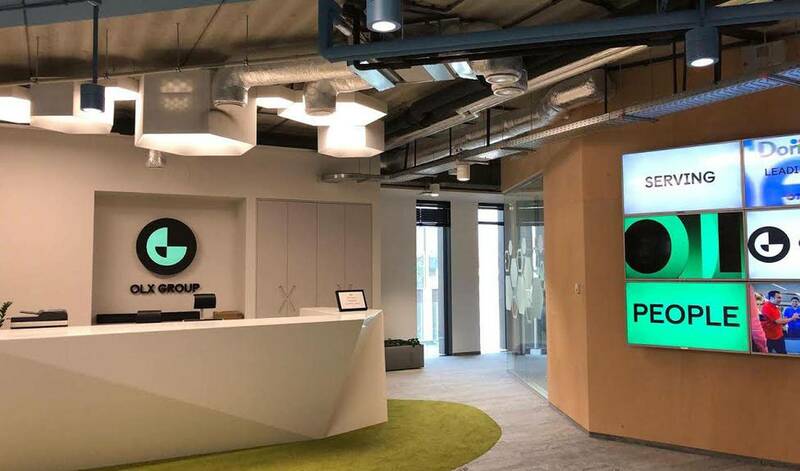 Founded by three graduates of the National University of Singapore, its listing business has expanded into automotive and real estate, which it monetizes whilst keeping the core service free. Prior to this deal, Carousell had raised $126.8 million in funding. Its last round was an $85 million deal that closed in May 2018, although TechCrunch earlier broke news of the investment. OLX, meanwhile, is the world’s biggest classifieds business. It is active across more than 40 countries through a network of 17 entities. All combined, it claims to reach more than 350 million users each month. That makes it a very coveted investor for Carousell and, really, any company that sits in the classifieds/listing space. “We are excited to increase our presence in Asia via a fast-growing company such as Carousell, which has deep knowledge across the region. We look forward to learning from them and sharing our own experience of operating in high-growth markets across five continents. Together, we believe we can offer the very best classifieds experience to the local market,” said OLX Group CEO Martin Scheepbouwer in a statement. “Naspers’ investment will enable us to accelerate the cementing of our leadership in Southeast Asia and our pace of innovation. We will continue deepening our expertise in technology and AI to bring greater value, trust and convenience to our users,” added Carousell CEO and co-founder Quek Siu Rui. Last year, we reported that the investment could be a precursor to an eventual acquisition — that’s a development that we’ll have to wait on, but it is certainly a logical assumption that many will come to, rightly or wrongly. Note 04/10 09:24 PDT: Details in this story, including financial figures, have been updated following an announcement from Carousell.